The first failure on my Audioromy amplifier has just happened. (actually second because I changed a sparking rectifier tube) After two years of frequent use the power switch has become progressively more difficult to turn on, so that the relay engages, and finally yesterday the switch failed altogether. 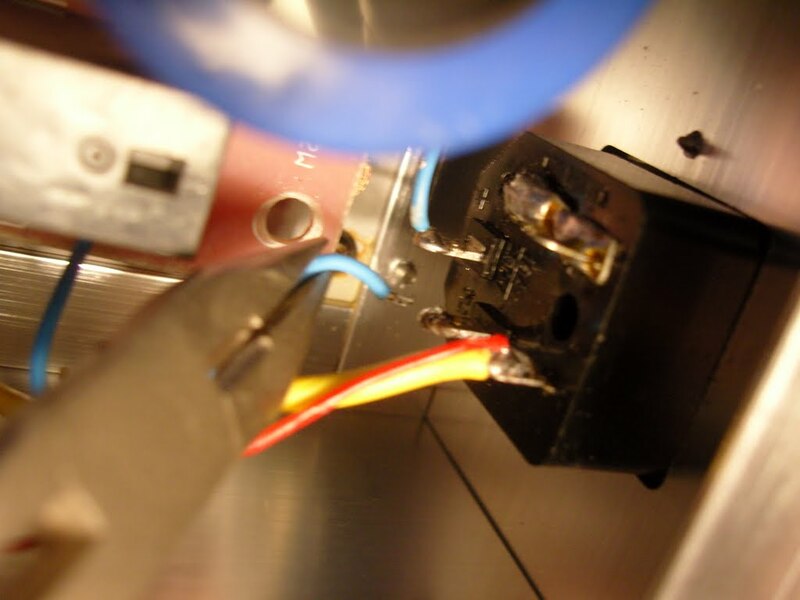 The power switch is set up so that a wire from the power socket, goes forward to the rotary switch, and then back to the circuit board. It looks like the wire goes to a diode bridge (? 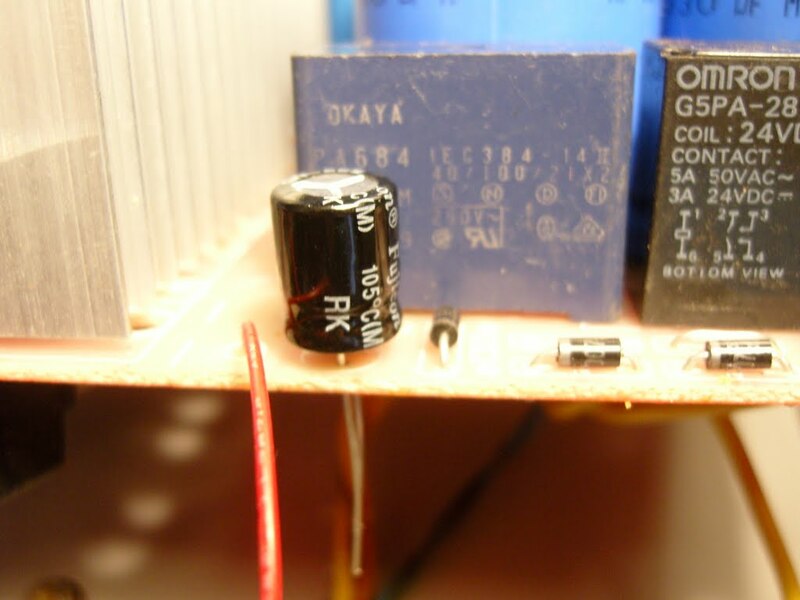 ), a small smoothing capacitor and then a relay, which passes the full power for the amplifier. A long hunt on ebay, partsconnexion, mouser, tubetown and some other places ensued. I tried searching for “rotary switch”, but found only multipole, multi-position switches for input selection etc. Finally I found that the correct search term was “Rotary power switch” now I needed a 2 position switch with a ribbed axle rated for 250V. Of course the most difficult to find. Finally I sourced one from an ebay dealer in Hong Kong. And now the wait begins. I hope to finish the project in about a month. 10 minutes to solder on the new switch and screw it in place, 30 days of waiting. The new potentiometer arrived on time, the reason I have taken some months updating is that another project got hold of me, three other projects actually, so sorry for the late write up. Diameter of the power switch hole had to be expanded for the switch I found. It was a bit tricky to drill out the hole, because of the electronics just 20mm behind it I drilled it out by hand, and put a bit of moist cloth inside to catch swarf. A bit of tape, sticky side up might also work. The length of the shaft was to long by 5 mm and had to be cut down. Everything mounted up, a tight fit, and the amp still did´nt start. Based on posts from other owners, I decided to change the capacitor beside the relay. 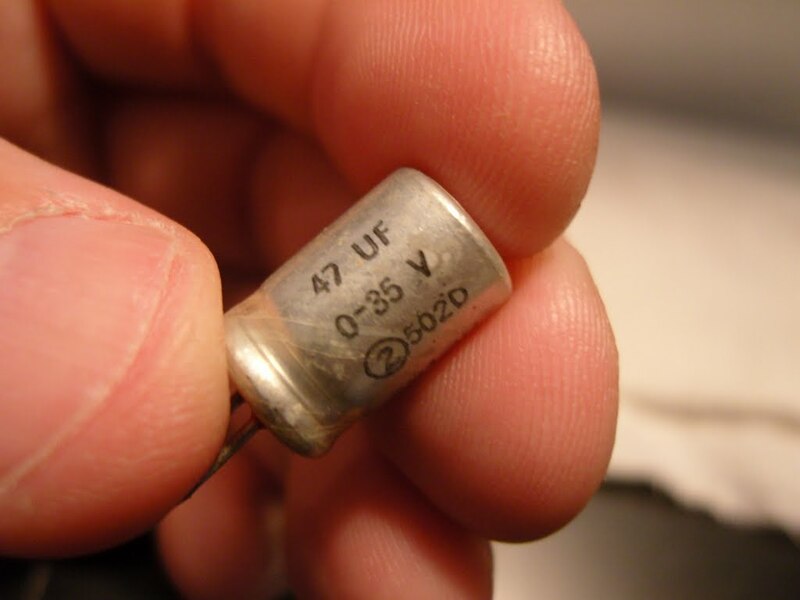 It is 47uF at 30V I had a 47uF 100V 105 degree rated capacitor to put in instead. Unscrew the PCB and see if you can lift it up. 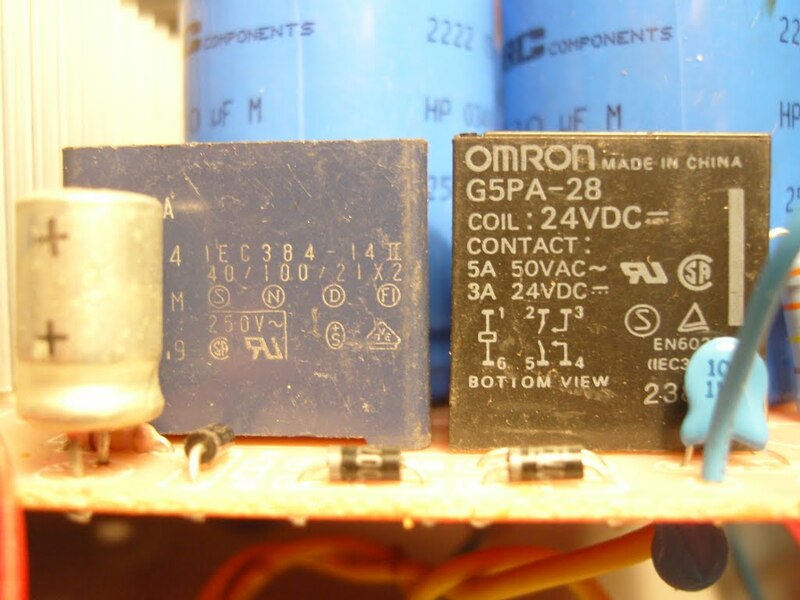 Watch the diodes sticking out of the board in the middle of the picture. Board is lifted and braced by a screwdriver high enough to get at the solder connections with a soldering iron. 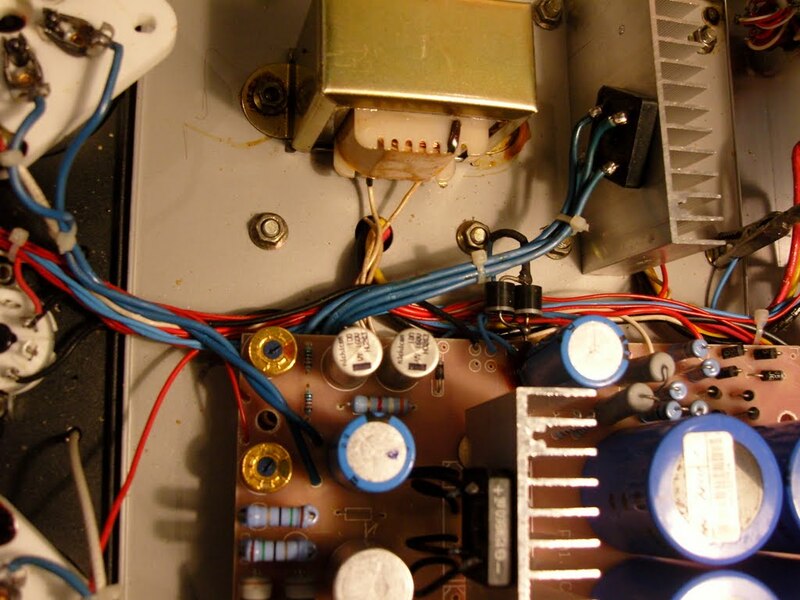 Desolder the capacitor to the left. Get anew one with voltage no lower than 50V and as high temperature rating as you can. 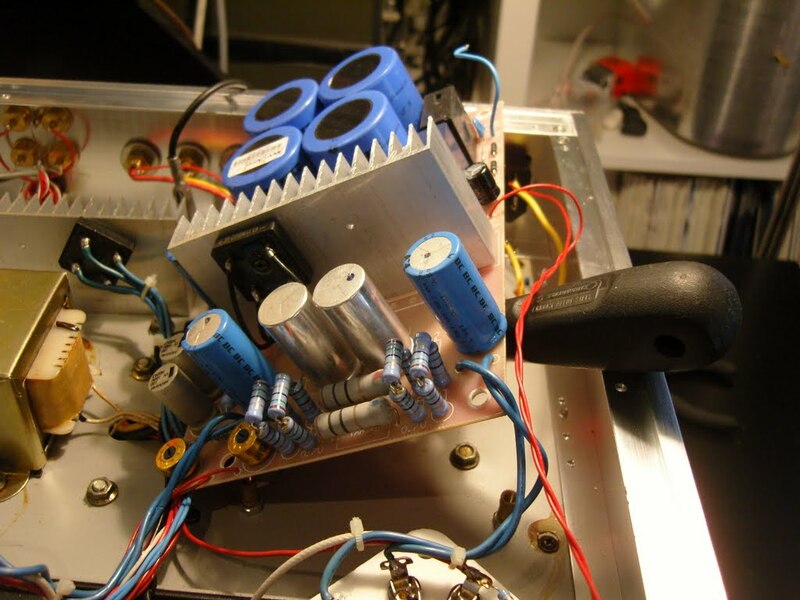 New 47uF 100V 105 degree capacitor in place. Watch polarity as the old one is marked + positive in stead of – negative as usual.